It’s a lot of fun to be a woman. Between heels, purses and stunningly gorgeous dresses, it’s such a thrilling experience to walk into a room and turn heads. Yet, it’s all a part of being a beautiful woman. Unfortunately, many women don’t always feel beautiful. Thankfully, there are ways to change that. It’s often stated that when you look good, you feel good. If you’re looking for ways to improve your fashion and wardrobe to feel better, consider these four tips. Create a vision board to define your style and get a better understanding of what you actually like. If you choose to make a physical vision board, find a bunch of magazines and cut out pictures of fashionable clothing, models and outfits you love. Hang it in your closet as a reminder. If you choose to make a digital vision board on a site like Pinterest, spend ten minutes every day adding new pictures to the board. It’ll help you visualize the image you’d like to portray. In addition to a vision board, it’s wise to actively search for the items you like. 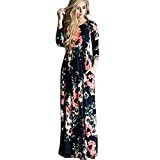 If you tend to gravitate toward stunning maxi dresses, begin to search for maxi dresses online. Find the ones that fit your price point and come in your size. If you decide to choose the online route, make sure to know your sizes and measurements so that the garments fit when they arrive. To take things to the next level, invest in the services of a tailor. A tailor will customize the garment and make it look like it was created just for you. Accessories are perfect tools to polish and complete an outfit. For example, wearing a simple black dress will be amazing with a statement necklace for a trendy look. 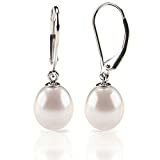 Other kinds of jewelry, like a classic set of pearl earrings will make a button-up blouse and slacks more professional and perfect for a business meeting. Build a classic wardrobe and sprinkle it with trendy pieces each season. When you have classic pieces, it’s much easier to mix and match. Get cardigans in classic colors like red and navy blue. Purchase a few pairs of dark denim jeans and black slacks. Once you understand what your style is and how to wear it well, you’ll find more ways to improve. Don’t be afraid of taking risks and having fun with your look. 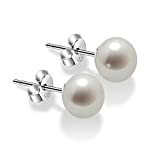 Spontaneity plays a role in keeping your look new, fresh and improved. As long as you remain committed to improving yourself internally, it’ll also permeate and manifest itself externally as well.